In today’s Flashback Friday, we go back to 2009 and Rebekkah Brunson’s arrival in Minnesota. 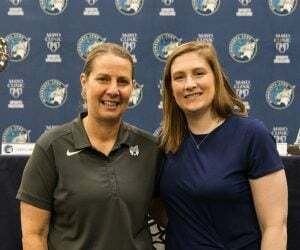 Brunson, who spent the previous six seasons with the Sacramento Monarchs, was drafted by the Lynx with the second pick in the 2009 Dispersal Draft after the Monarchs announced they would no longer operate following the 2009 season. 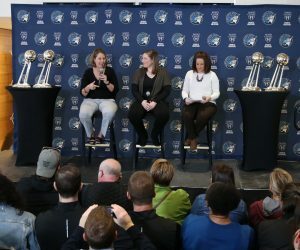 Since joining the Lynx, Brunson has helped the Lynx appear in five WNBA Finals appearances, which resulted in three WNBA Championships. 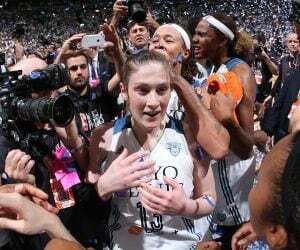 In 2010, her first season in Minnesota, Brunson averaged a double-double of 11.3 points and 10.3 rebounds per game. She also averaged 1.2 steals and 0.8 assists per game that season. 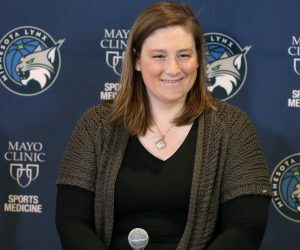 Brunson, who concluded her 13th season in the league in 2016, has averaged 9.4 points, 8.7 rebounds and 1.4 assists per game in her seven years with the Lynx. 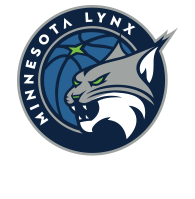 The forward from Washington D.C., who turns 35 on Dec. 11, will be playing in her 14th WNBA season when the Lynx kick off the 2017 season.